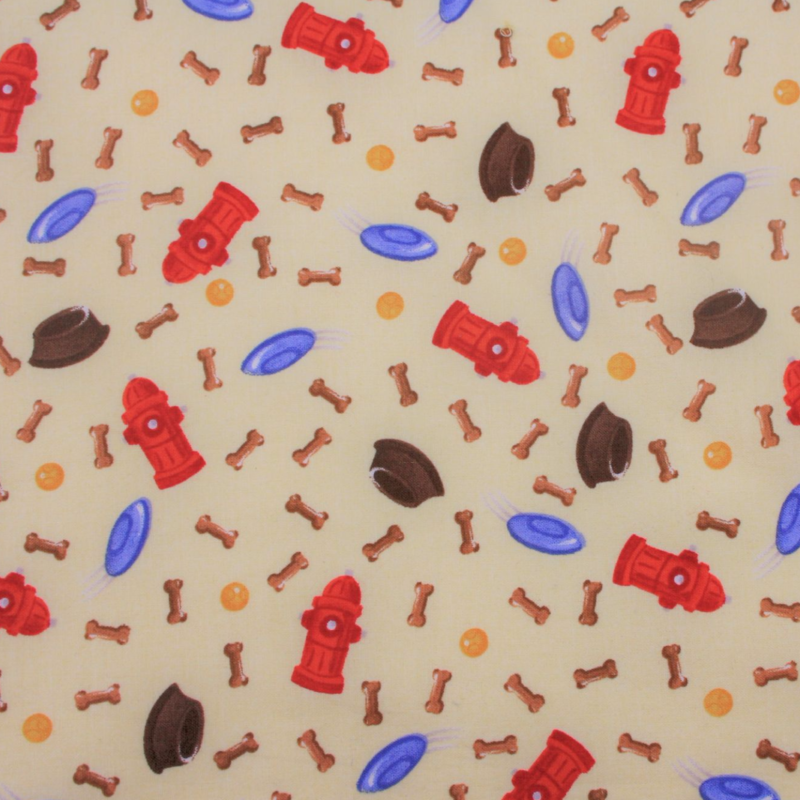 This super-cute 100% cotton Droolbuster Dog bib is cream with a fun American themed print incorporating bones, Frisbees, feeding bowls, balls and red fire hydrants! The cotton print has a lovely vintage feel...it's a very stylish cotton. It makes a really lovely Droolbuster, especially when combined with the Red or Royal Blue towelling options.